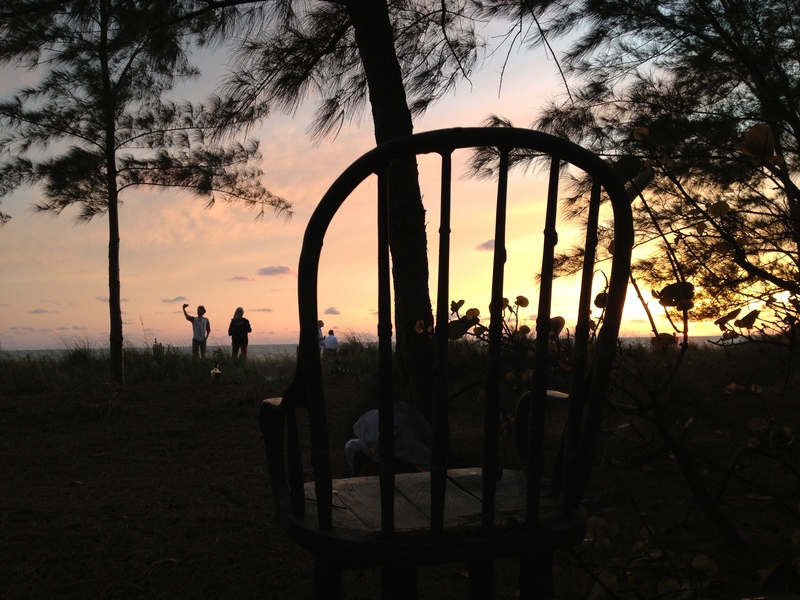 Looking out from Bob’s chair, past Confab residents Jeremy, Gretel, John, and Lewis, to the setting sun. Bob’s spirit of possibility is everywhere here. This entry was posted in Confab activities, Robert Rauschenberg. Bookmark the permalink.